Part of a larger furniture series, the HOCKN Table is a minimal piece designed by the Austrian-based designer March Gut. This stunning dining table or workplace feature is a true example of traditional craftsmanship and creative genius. 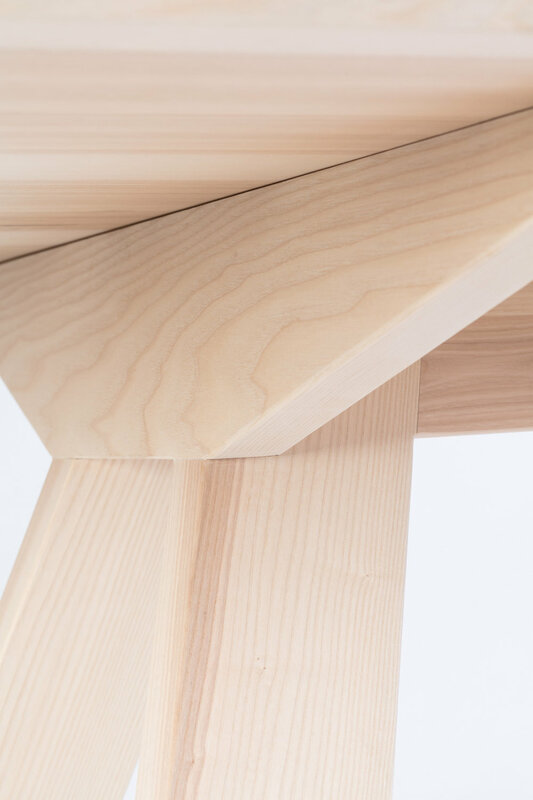 The design also offers accessibility through the slanting of the table legs. The silhouette provides an interesting visual through it's shape while creating an element of purity that is joyful to behold.